There’s more to this band than just Smith. He is the singer/songwriter genius behind the music and lyrics, but he has an excellent band giving his music that full sound. Some of the amazing talent that he works with include classical and rock violinist David LaFlamme, backup singer Vickie Randall, keyboardist Spencer Burrough, saxophonist Paul Branin, and trombonist and horn arranger Mike Rinta. Californian singer/songwriter Scott Smith is proving that good old fashioned Americana is alive and well in 2018 with his new single “I Will Love You,” an epic sampling from his forthcoming extended play Igniting The Flame. Keeping in stride with his previous output, Smith doesn’t try to weigh down this new track with unnecessary frills or bravado; instead he lets us soak up all of the freewheeling, spacious folksiness that makes his signature sound so inviting and unique. I had the fortune of being able to check out “I Will Love You” ahead of its June 15th release date, and I found it to be one of the more poignant entries in Smith’s catalogue, particularly in how it demonstrates his tremendous growth as an artist. With an easy going strum of a set of barley-blowing, golden strings, Scott Smith eases us into his new acoustic love song “I Will Love You,” a carefree slice of heaven hot off of his new summer release Igniting the Flame. Dedicated to his wife, Smith joyously illustrates a heart-warming picture of his affections and devotion to the woman he’s spending his life with, and along the way gives us some incredible melodies to swing to. Anyone who’s ever truly been in love can relate to the playful, rollicking nature of “I Will Love You,” the beat not dissimilar from the sweet pitter patter that all of us feel when we meet someone special to our hearts. The title single and its B side song, which are set to be released on Friday, are the powerful follow-up to the group’s EP, ‘Igniting the Flame,’ which was released to critical acclaim last year. The band’s latest tunes pay a beautiful homage to the all-important significance that love has on all aspects of life. The ‘I Will Love You’ EP begins with its stunningly emotional and memorable title single that’s driven by a lively acoustic guitar and banjo. The EP’s first entry is the perfect homage to Smith’s wife, Karen. The song, which feature the dazzling harmony backup vocals of Vickie Randall, features the two singers crooning their declarations of love all day long. With the duo also lovingly expressing that they will always hold each other in their hearts, the single offers hope that there still is genuine devotion in the world. 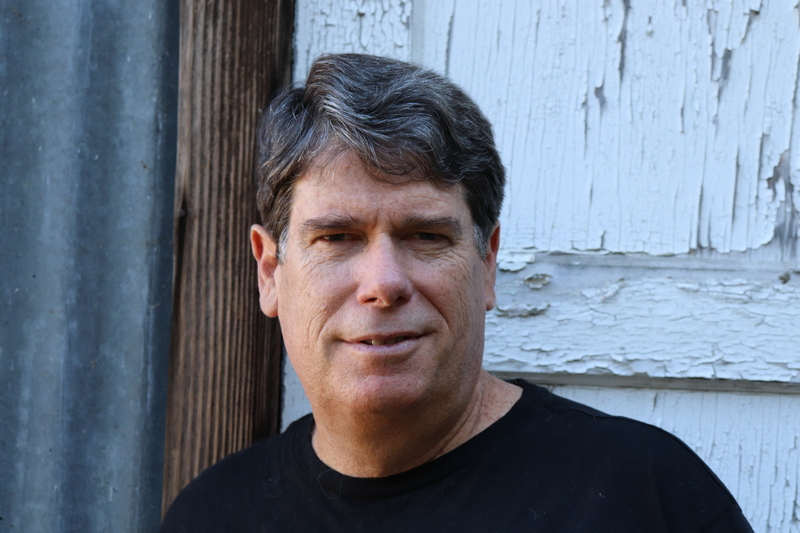 The EP’s title single then transitions into its B side track, ‘Spinning Around.’ The enthralling pop-rock track also features Randall on backup vocals, and was inspired by the landscape that surrounds Smith’s home in Sebastopol, California. As the singer-songwriter sentimentally embraces his environment, he begins to truly cherish life, especially as he takes a trip down memory lane. Instinctively driving emotions to the extreme is one of the most powerful ways that musicians can capture an audience’s attention. Smith and his band are once again rekindling passion within their listeners with their ‘I Will Love You’ EP. The title single and its B side tune pay a beautiful homage to the importance that love has on all aspects of life. 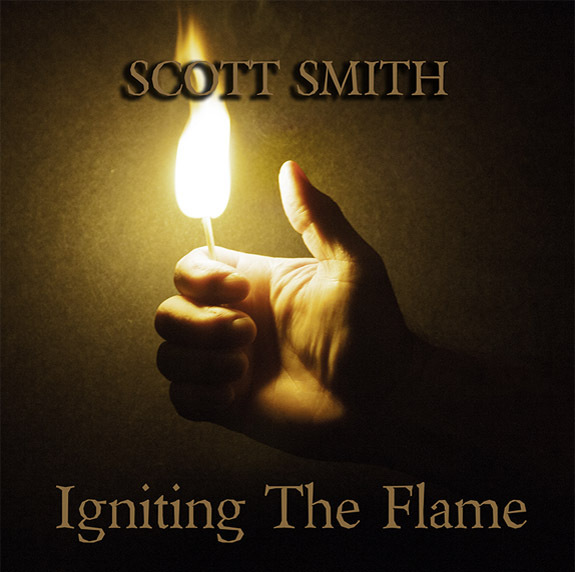 Scott Smith is an Americana Rock artist out of California. Scott has a passion for powerful music that lifts your spirits and gets you moving. Inspired by the early origins of American music, Scott takes an Americana sound and adds elements of blues rock to create something fresh. His most recent project ‘Igniting the Flame’ is a stand-out example of his passionate work. Scott Smith has delivered an Americana, folky, blues-rockin’ great time on his new album Igniting The Flame. The opening Drop Kick It introduces us to Scott’s aurally stimulating barrage of sweet guitars, swingin’ horns, foot stompin’ rhythms and a story about letting go of that bad day you just experienced. Igniting The Flames blasts off with distorted guitars, an upbeat rhythm, gritty but soulful background vocals and enough jam to keep your body rockin’ nonstop. When that fiddle kicks in for the solo, buckle up! It’s obvious by now Scott Smith has arrived to infect our bodies with upbeat music despite any and all downers that might be attached to his lyrical substance. Scott Smith delivers a blistering, bluesy take on the classic rock sound with the surefire “Igniting The Flame”. Neatly drawing from folk, country, all anchored within a careful singer-songwriter tradition the pieces linger in the mind. Riffs roll across the luxurious hyperactive pieces. Tempos rush through with a truly muscular presence. By far though the true heart of the collection comes with the strong, poetic quality of the lyricism. Delivered with the utmost of passion everything works in unison to create a spirit that feels positively infectious. Easily the highlight, “Igniting The Flame” simply stuns. From the fiddle work to the backup vocalists, it all adds to a crazed manic kind of energy. Much more laid-back “My Soul To Keep” chooses a leisurely groove, complete with a soulful saxophone adding to the overall tenderness of the track. A shaggy dog story emerges on the flexible, organ led saga of “Rolling Home”. With a bit of soul, the way the piece evolves gives it a sunlit quality. Distortion rules supreme on the playful humorous “Eating Like Hippies”. Incredibly hyper-detailed the song speeds forward in a glorious blur. A western twang emerges on the powerful swagger of “Drop Kick It”. Guitar and organ work in unison on the infectious melody of “Bulls Eye To My Heart” where everything mixes into a majestic whole. Aptly named, “Igniting The Flame” shows off Scott Smith’s sense of defiance as everything merges into a singular whole.